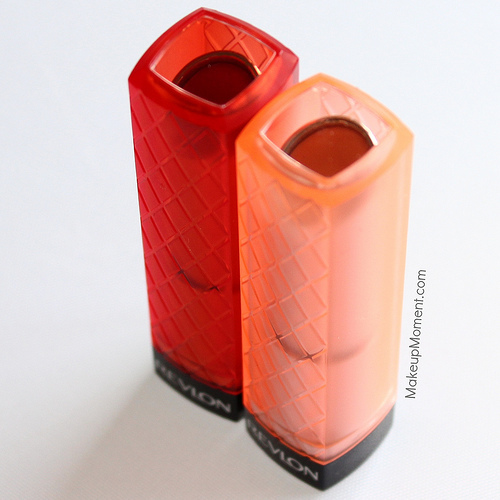 I know Revlon's Colorburst Lip Butters have been reviewed countless times all over the blogosphere-even I have a reviewed a couple of them on here, but I just had to share my latest Revlon lip butter acquisition with you all. 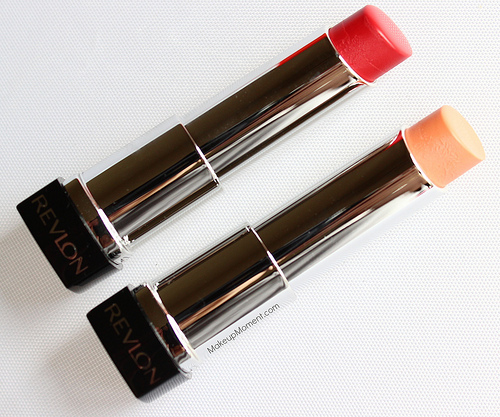 These two that I am going to be talking about today are what I consider essentials and total must-haves, from Revlon's Colorburst Lip Butter lineup. Love the quilted tube packaging that coordinates with the shade. The clear window on the top lets one easily see the lip butter inside, which is very helpful. Candy Apple: Cherry red cream. I really like this one and I can't believe that I didn't get it sooner. Winter is almost coming to an end, and I think candy apple would have made a great fall/winter lip color. Actually, now that I think about it, a shade like this one never goes out of style-no matter the season. So I would really classify candy apple as a year-round sort of shade. Although bright, candy apple is very wearable. It's not overpowering and I think many will find it flattering. Creamsicle: Neutral muted peach cream. I can never have enough neutral lip colors in my stash so of course I had to have this one. 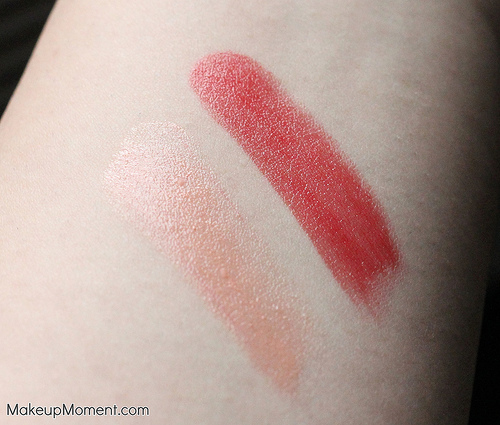 Creamsicle is a great everyday shade that quickly puts together any makeup look, without any effort. I love how natural looking this color is on. It's not stark and it doesn't wash out my complexion either. When it comes to texture, candy apple is definitely the smoothest of the two-it has a lovely consistency that looks amazing on lips. 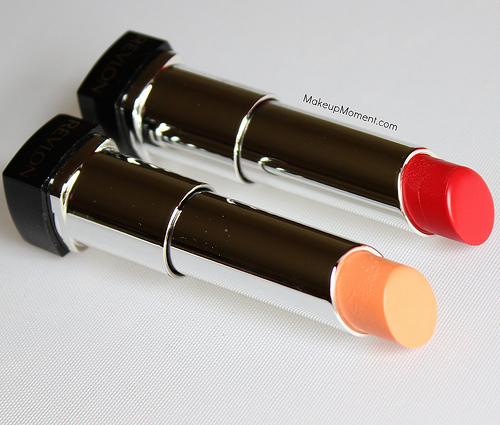 Creamsicle has a creamy texture as well, but I find that it doesn't go on as smoothly if lips are on the drier side. It also tends to enhance dry and flaky bits so, properly prepping the lips before applying this one is a must. Because of their slick consistency, these lip butters aren't very long wearing. I start to notice fading happening around the 2-3 hour mark. I don't mind reapplying though, as these feel lightweight on, and they don't build-up on my lips. Overall: I am really pleased with my latest Revlon Colorburst Lip Butter purchases and I am certain that I will pick up a few more in the future. If you love affordable lip balms that pack a nice punch in the pigment department, these lip butters are awesome contenders. 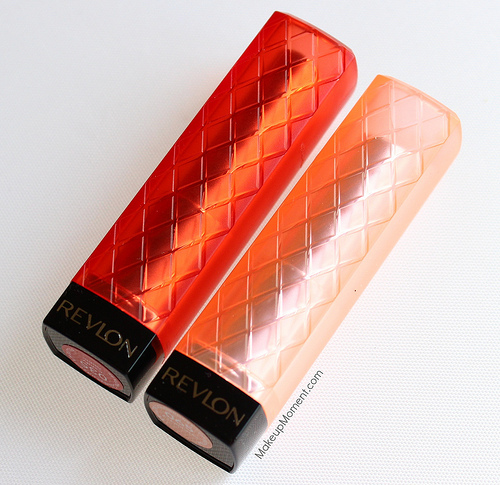 What do you all think of Revlon's Colorburst Lip Butters? Which are your favorite shades? Love the look of these will have to swatch them instore! I hope you pick up a few! I love these! My favourites are Peach Parfait and Strawberry Shortcake. I like Candy Apple but I prefer the other red which is more blue-based, Cherry Tart. Creamiscle is lovely but a bit too light on me I think.